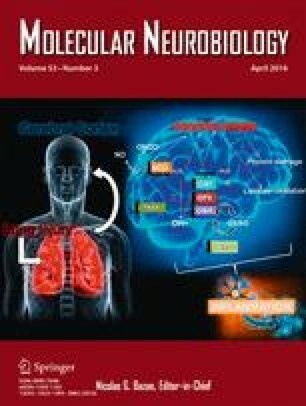 Parkinson’s disease is the most common α-synucleinopathy, and increased levels of iron are found in the substantia nigra of Parkinson’s disease patients, but the potential interlink between both molecular changes has not been fully understood. Metal to protein binding assays have shown that α-synuclein can bind iron in vitro; therefore, we hypothesized that iron content and iron distribution could be modified in cellulo, in cells over-expressing α-synuclein. Owing to particle-induced X-ray emission and synchrotron X-ray fluorescence chemical nano-imaging, we were able to quantify and describe the iron distribution at the subcellular level. We show that, in neurons exposed to excess iron, the mere over-expression of human α-synuclein results in increased levels of intracellular iron and in iron redistribution from the cytoplasm to the perinuclear region within α-synuclein-rich inclusions. Reproducible results were obtained in two distinct recombinant expression systems, in primary rat midbrain neurons and in a rat neuroblastic cell line (PC12), both infected with viral vectors expressing human α-synuclein. Our results link two characteristic molecular features found in Parkinson’s disease, the accumulation of α-synuclein and the increased levels of iron in the substantia nigra. Authors sincerely acknowledge Prof. Seung-Jae Lee from Konkuk University in Seoul, Korea, for kindly providing the α-synuclein adenovirus vector. The AAV vectors expressing wild-type α-synuclein/EGFP and EGFP were a kind gift from Dr. Sebastian Kügler (Göttingen). The authors are thankful to the European Synchrotron Radiation Facility for beamtime allocation and to R. Tucoulou and G. Devès for their assistance during the experiment. We also thank CENBG staff from AIFIRA platform. This work was financially supported in part by the French Agence Nationale pour la Recherche (ANR) program PIRIBIO (ANR-09-PIRI-0029-01) and by the PROCOPE program from the French Ministry of European and Foreign Affairs (PHC Procope 25148UC).